Always wait out a tornado on the first floor, closet, or bathtub. Exit your mobile home dwelling place and go to a neighbor's house, if necessary. March 11: There were 11 reported weak tornadoes in areas of southern states: Arkansas, Louisiana, Mississippi, and Tennessee. March 9: Tornado alleged to have been in the local community area of Walnut, Mississippi. March 9: Two weak tornadoes reported in local communities of Arkansas: Slovak, Arkansas and Keo, Arkansas experienced damaged homes, down trees, and a few blocked streets/roads. Evening March 9: 25 million families are in the path of the second round of the coast-to-coast wintry mix. Anticipate strong winds as the storm travels through your local community. Assumed ending of storm is very early Monday morning. States in the South Families. Southern areas of said states anticipate late afternoon, centralized, thunderstorms and damaging winds Sunday March 10th. Tornadoes and rain flooding is still possible tomorrow afternoon through March 11 very early Monday morning. States in the Central Plains Families. Anticipate continued snow and gusty winds through March 11 Monday morning. 10:30 p.m. EST: Final announcement alert of March 9: Many community areas of California are currently having light showers. Strong thunderstorms in Tupelo, Mississippi; Huntsville and Birmingham, Alabama; Communities nearby Knoxsville, Tennessee; Charleston, West Virginia; and Columbus, Ohio have experienced strong thunderstorms and continued rain showers. Pittsburgh and nearby local communities of Pennsylvania, the line of steady showers continue. Some northeastern areas near Pittsburgh are experiencing snow showers. 9:50 p.m. EST: Storm left drenching rains in Knoxville, Tennessee; Charleston, West Virginia; and Pittsburgh, Pennsylvania. 9:30 p.m. EST: Storm has passed through northern Tennessee and Georgia. It is headed on a northern pattern towards Pittsburgh, Pennsylvania. It continues to be a fast-moving storm. 8:20 p.m. EST: Tornado warning in areas of Tennessee. Get into a safe place regardless of whether it's raining in your local community area. 8:00 p.m. EST: Snowing in several states: North Dakota, South Dakota, Minnesota, Wisconsin, and southern Michigan. Anticipate several inches of snow before storm moves north. 7:55 p.m. EST: It's a fast-moving storm; it has passed over Mississippi and almost complete in southern parts of Tennessee. Some of the announced tornado warnings will continue or has been extended until 9 p.m. Central time. 7:38 p.m. EST: Tornado warning in north Mississippi near the Tennessee line. Get into a safe place regardless of whether it's raining in your local community area. Afternoon March 8: I will be on-call beginning at 12 noon tomorrow 3/9th. Northeastern states such as Boston, Massachusetts received at least a total of 17 inches of snow. Due to the cold air, the wet snow is anticipated to turn into ice. Then, with the next wintry mix system, more snow on top of existing snow. After next storm system, anticipate major flooding. In total, there were 36 reported tornadoes in areas of southeastern states. In Alabama, the strength of the tornadoes flipped vehicles and damaged many homes. Power outages in areas of Connecticut, Massachusetts, and Rhode Island, 30,000+, reported as of March 4, 7:44 a.m. EST. Power outages in areas of Western Georgia, 16,624, reported as of March 3, 9:30 p.m. EST. Power outages in areas of Southern Alabama, 42,000+, reported as of March 3, 9:30 p.m. EST. Many homes and businesses have been destroyed in southeastern community areas of Alabama: trees downs and blocked roads. Cell phone tower on HWY 280 destroyed. Eufaula, Alabama airport destroyed Sunday reported by journalists Andone and Silverman of CNN (March 3). Morning March 4: A similar coast-to-coast wintry mix is going to happen later this week affecting weekend travels, including i-95 corridor (3/6 - 3/10): the North (snow if cold/rain if warm) and the South (thunderstorms and potential tornadoes). Families, Shopping-List for the week should include non-perishable food items. Southeastern Alabama. Local emergency staff/volunteers will continue search-and-recovery of the many, assumed weather-related victims today. They are receiving deceased bodies at a local parking lot. At this time, the locals are asking for personal time before accepting external-community assistance and sympathy comfort. As of 7:30 a.m., it is still snowing in community areas of Maine. Evening March 3: Those in the path of the winter storm: If you live in a mobile dwelling place, your local announcements probably have been to evacuate your home until the storm ends. 10:17 p.m.: Northeastern states will have several inches of snow, over 6 inches is possible: community areas of Pennsylvania, New York City, New Jersey, and Boston, Massachusetts to Rhode Island. 10:03 p.m.: Storm system appears to be a slow-moving system and includes tornadoes, damaging wind, and hail. System is still in parts of southeastern states: North Florida, many counties of Georgia, and some areas of South Carolina. 9:50 p.m.: The current tornado system is considered to be the deadliest compared to former, localized tornadoes and tornadoes that touchdown in January, 2017. Listen to local, storm warning/watches. 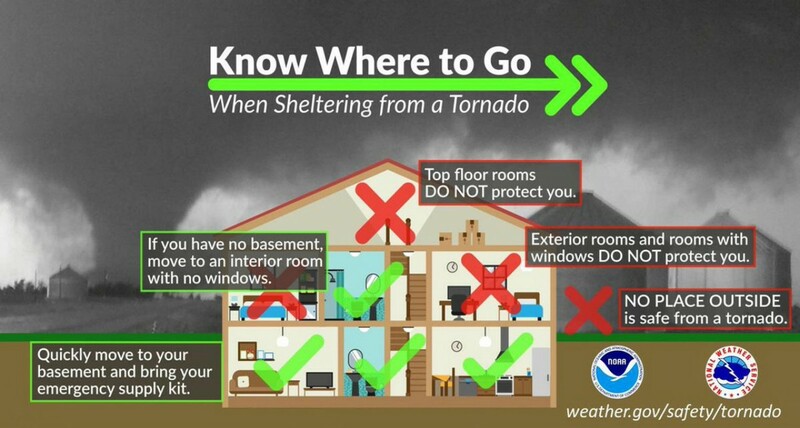 Family compositions should stay on ground level/first floor, closet, or bathtub during an active tornado system. 9:30 p.m.: Still raining in southeastern Alabama. Local emergency staff/volunteers will continue search of the many, assumed weather-related victims "first thing in the morning." Until 8:15 p.m.: Tallahassee, Florida is under a tornado threat. Families of the Tallahassee community should find a safe area in your dwelling place at this time. 7:25 p.m.: A tornado has landed down in Downtown Columbia area, South Carolina. March 3, 6:27 p.m./EST. The Helpdesk will be open at 7:30 p.m. tonight. Anticipate for possible tornadoes in your local community: Alabama (happening now), Georgia (until 11 p.m.), Florida (happening now), South Carolina (until 2 a.m.), North Carolina, Virginia, and Maryland. Virginia and Maryland families, I don't know if school-age students will be on normal schedule tomorrow. Schools may announce a 2-hour delay. Working parents, have a babysitter on standby if applicable. Second Update, March 3 @ 9:24 a.m./EST: The continued winter storm will cause rapid or quick rains and snow within hours, today, before moving off U.S. lands into the Atlantic Ocean: continued path, starting west coast to the east coast as the first update presented. Tornadoes may be experienced in some local communities of the south and east coast states. Families are to be on alert with their emotions and religious expressions towards others at this time. Most of the storm will occur later this evening. Let me say this clearly and you say it with me--"The world is not coming to an end on this day." First Update, March 2 @ 10:50 a.m./EST: There are over 200 million individuals and families, dwelling places, that are in the area of 'Winter Storm Scott.' The entire Interstate 95 is in the path of the winter storm, too. The storm is 2,500 miles wide. Don't eat the snow. North Coast Families. Expect a weekend of either rain showers or several inches of snow. After storm, anticipate rain flooding in most local communities. States in the South Families. Anticipate ongoing rain flooding, and possible tornadoes. West Coast Families. Your states will have significant rain showers; upper states will have snow if cold enough. Central Plains Families. Warmth safety precautions as its going to be very chilly; snow and ice.